Keeping your property looking its best is tough at the best of times. Instead of adjusted to dirt, grime and growth, have a Gorilla clean it away for you. Every day, the exterior spaces of your property are collected new layers and stains, so make our Blackfalds pressure washing a part of your routine. Everyone knows that each stain needs to be treated differently. Methods that work for carpets and drapes won’t work for walls and flooring. This is true of the inside of your home as well as the outside. Trying to tackle a natural discolouration in the same way that you would a manmade stain, can make the problem worse. Instead of dealing with repercussions of inexperienced stain removal, have it done right the first time. 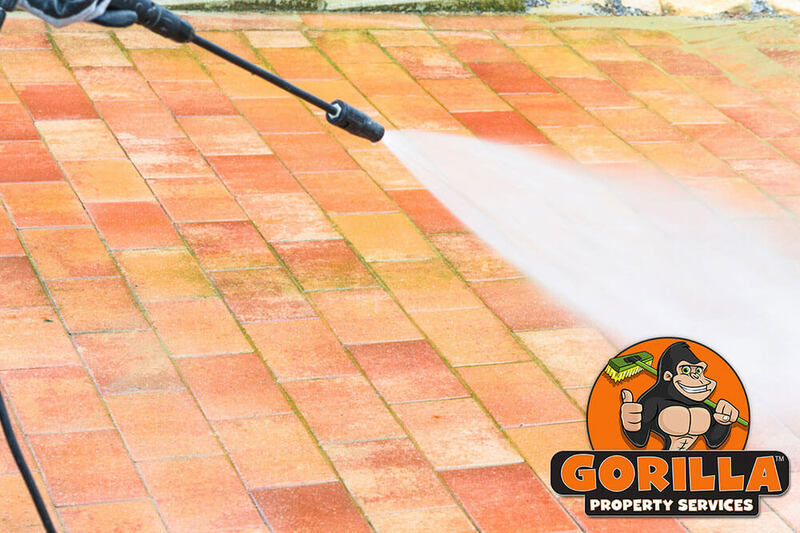 By calling a Gorilla for your Blackfalds pressure washing, you are sure to get the best results for your property type. Pressure washing is not an appropriate solutions for very type of construction material. In fact, these power tools can cause a lot of damage on weakened or brittle materials. Why risk damage when all it takes is a phone call to have your windows clean and spotless? In order to get the best results for your Blackfalds pressure washing, it is important to treat both the cause and symptom of your stain. The only way to get rid of discolourations completely is approach the area in layers. Eco-friendly, disinfecting cleaners are used to treat areas and remove bacteria. Speciality tools, like our Gorilla Brushes are then used to loosen and push away any sitting materials, making way for our pressure washers. If you are unsure what areas around your home or business can be pressure washed, call to ask! Our friendly Gorillas are always willing to answer any questions that you might have about our services.